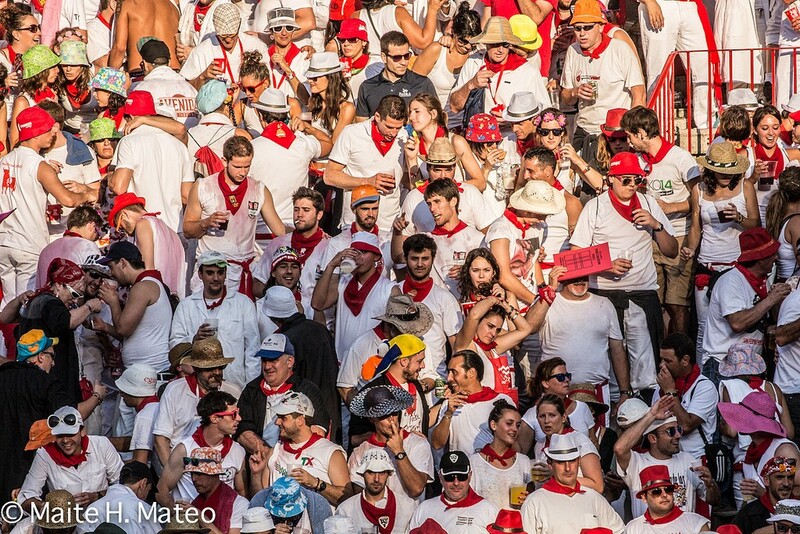 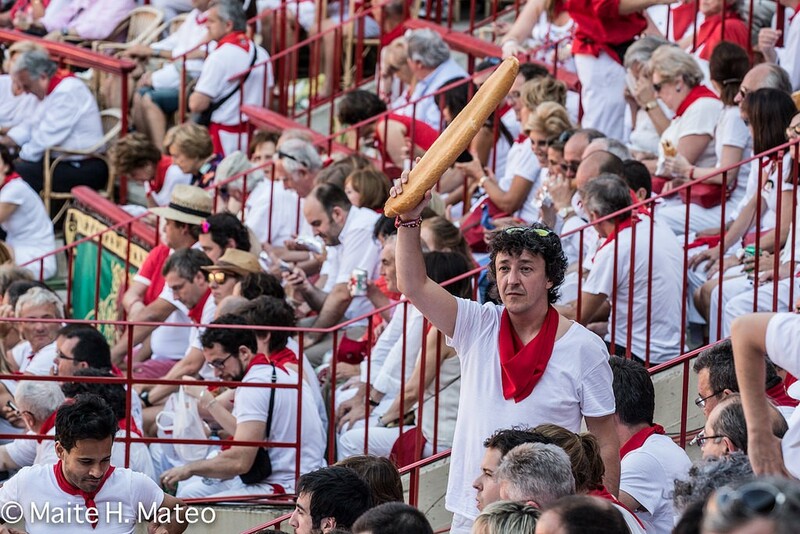 There was a bit of everything at the fourth day of the Sanfermin bullfights. 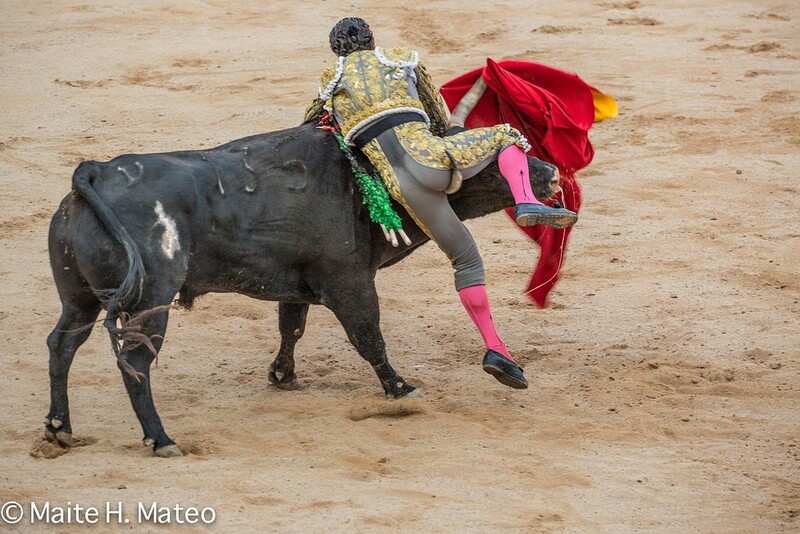 Miguel Abellán got the lucky break of fighting the two best bulls from the Fuente Ymbro bull-ranch. 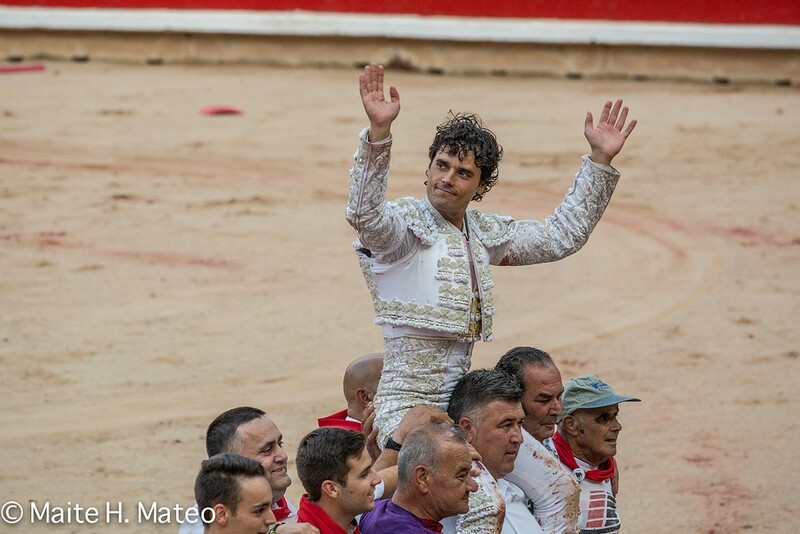 With skill and expertise, the Madrid toreador managed to fight his bulls well enough to be awarded two ears and be carried out shoulder-high through the main gate of the bullring. The remaining bulls lacked ‘bravura’ and character and indeed, more than one failed to respond to the cape work. 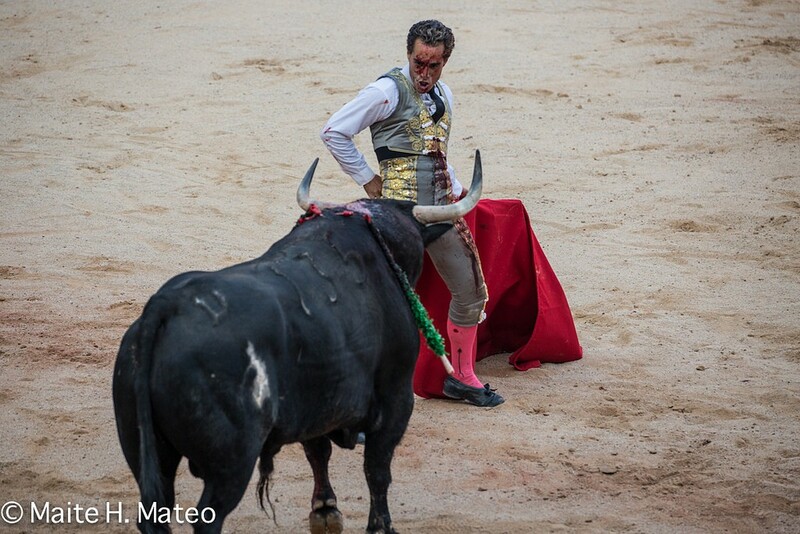 Miguel Ángel Perera’s work was received in silence, where he could show nothing of note with his two bulls. 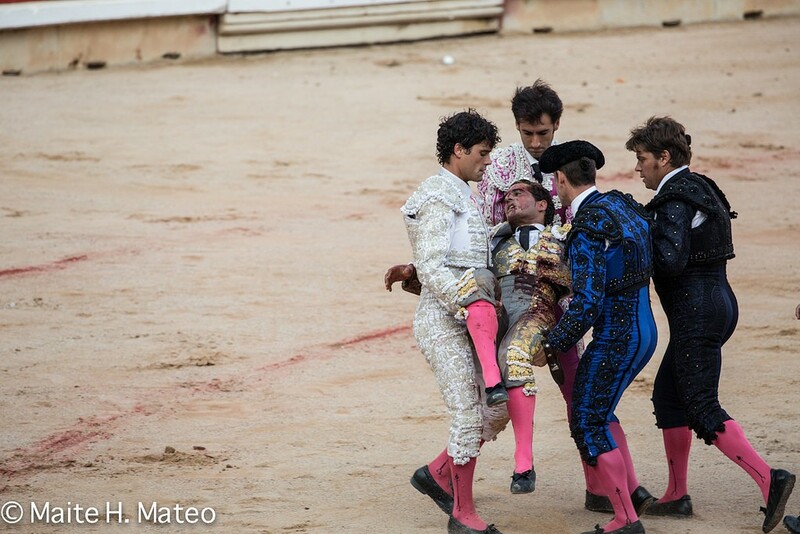 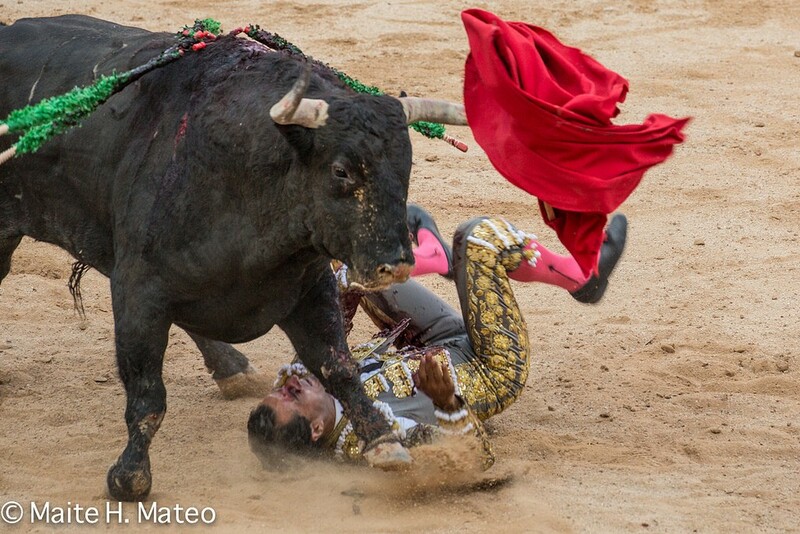 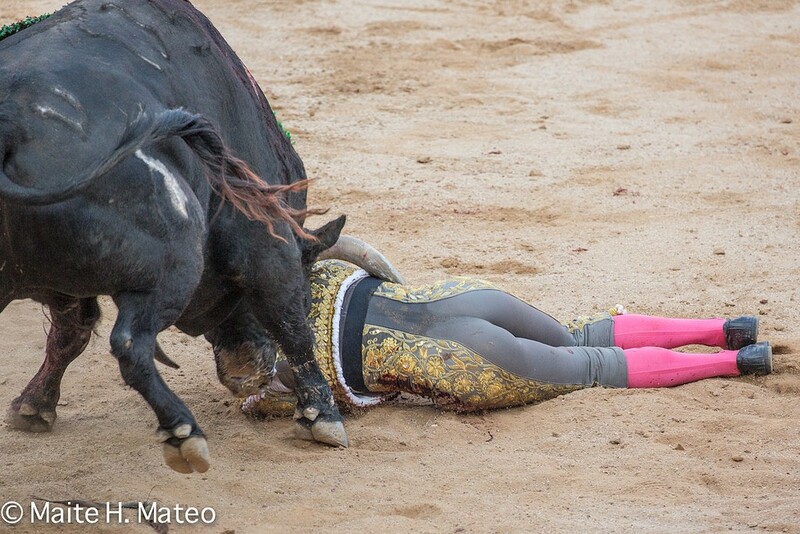 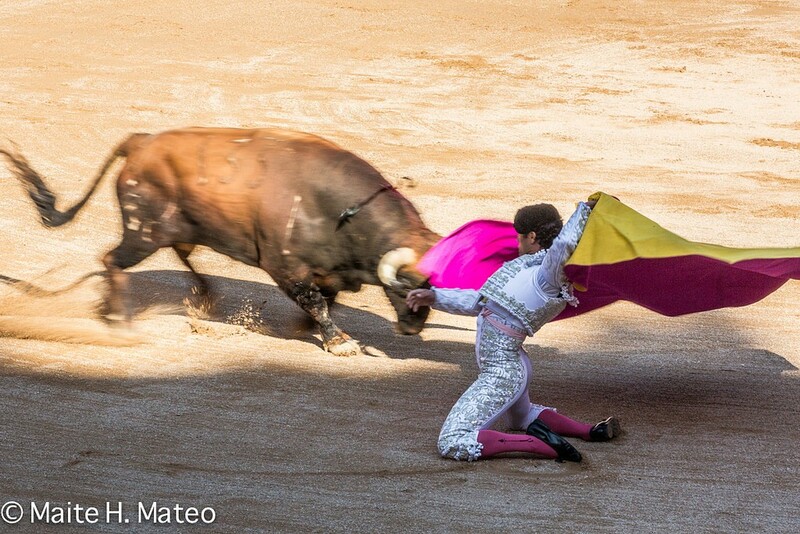 Iván Fandiño showed some guts after receiving a fierce tossing and some harassment from the bull while on the ground, but luckily, the bull did not manage to gore the bullfighter. 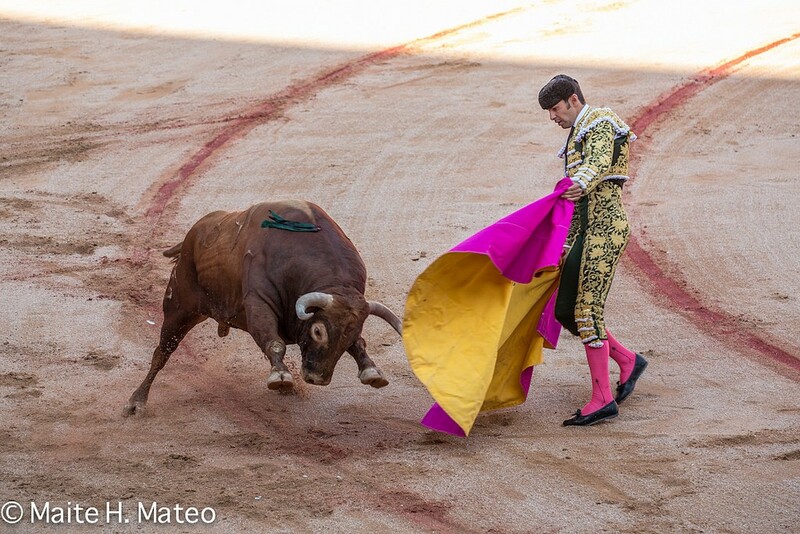 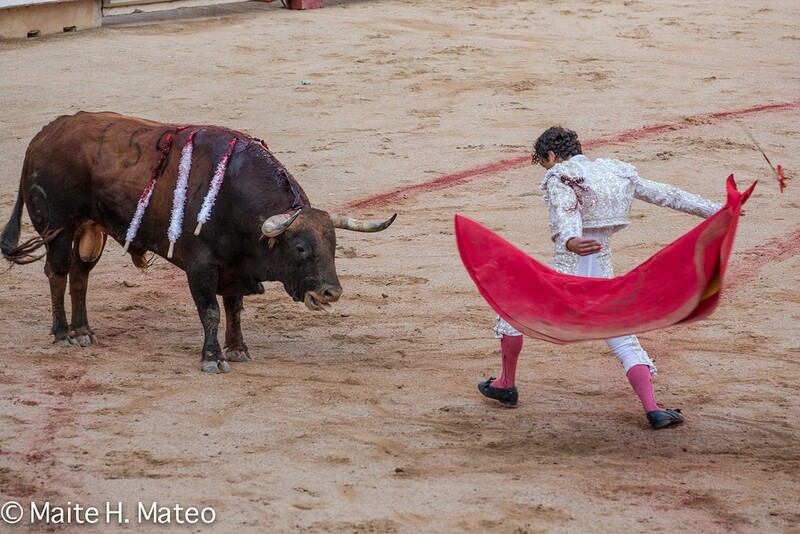 He was splattered with blood but it was the blood of the bull and, after being taken off for a few moments to recover his strength, this toreador returned to the arena to finish off the bull. 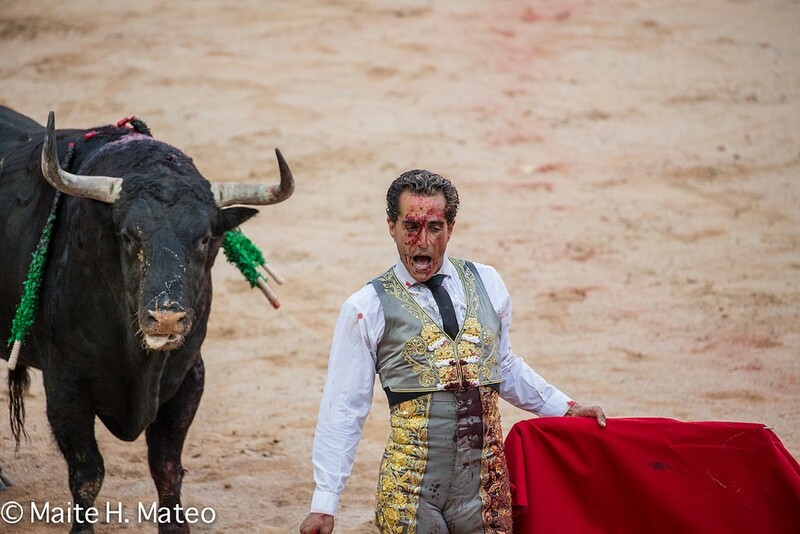 His work probably deserved the award of an ear, but, as he failed to kill the animal cleanly with his sword, he lost credibility and was left with only applause for all his efforts.